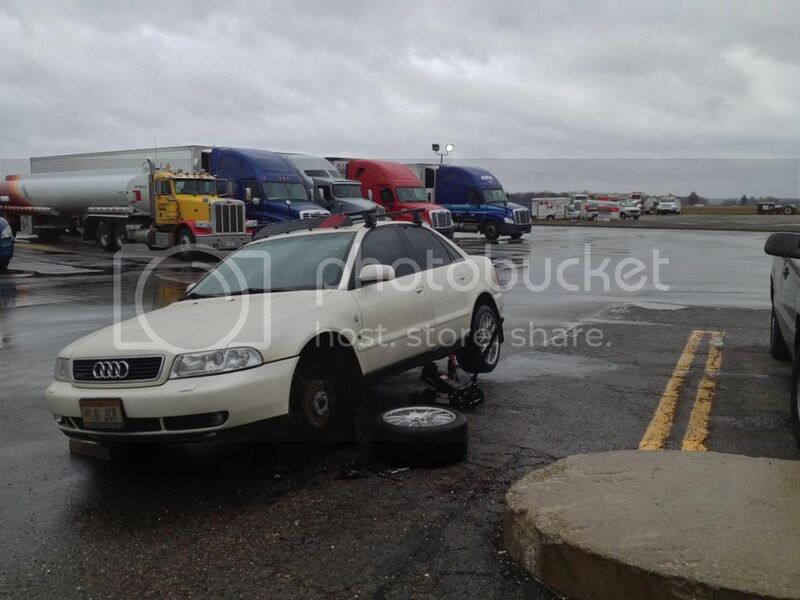 Ended up fixing in the parking lot at the truck stop down the street from the track. By the way, the rain during the race was amidst the storm that collided with Superstorm Sandy, then repaired it the next day while Sandy was bearing down on Ohio. No fun, but no regrets! Nice. 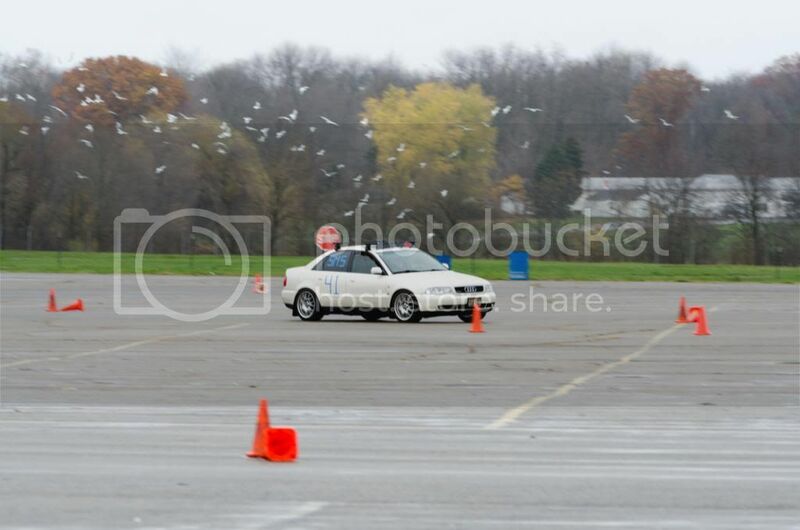 I used to AutoX with my Miata. Loved it. Never tried it with the B5, it's my only daily. Also, I think my GTRS spools kind of late for it. I think my GTRS spools kind of late for it. I disagree. I auto-x'd with my car when it was running a GT2860RS and it was fantastic... the power was exactly where you want it for an auto-x course. Try it and you will see what I mean. 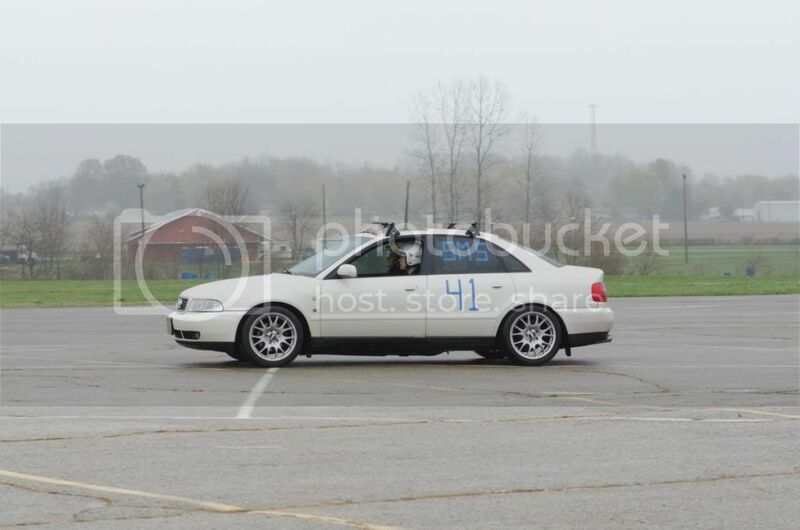 Congrats man, autox is a blast. I've been out of it for about a year, life has gotten busy... but I'll join you next year. Speaking of, I noticed you are in the Columbus region, we should pick an event next year and race! Also, if you're in Columbus, you should try the PDX at Mid-Ohio, it's the most excited / nervous I've felt in a car! Super good fun, and everyone is great towards the new guys. Anyway, glad you had fun. Hopefully more B5's start showing up at events! Thanks everyone! It's funny you talk about lag of a GTRS when I was annoyed by the lag of my k04 in the low speed turns. 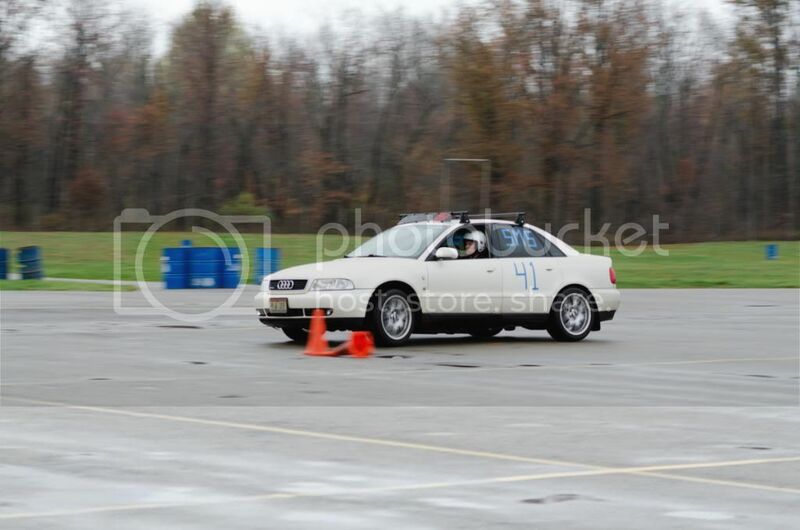 This was the first time racing in a turbo car and, frankly, an NA car is probably much better at autoX. I just noticed I'd finally get boost right when I needed to brake in some of the turns. I imagine a little smoother driving could have saved the axle, but the patchy wetness sure made it fun to race, especially since I don't have ABS right now bc I broke the sensor when doing the bearings haha. A K04 really doesn't have lag. It's pretty much insta-spool. You may have a boost leak if it feels like its lagging. Do you have a boost gauge? I will. The 2860RS is the same at a GTRS from what I understand, just an updated version. "What's your oil light doing?" "Blinkin'!" Looks awesome. 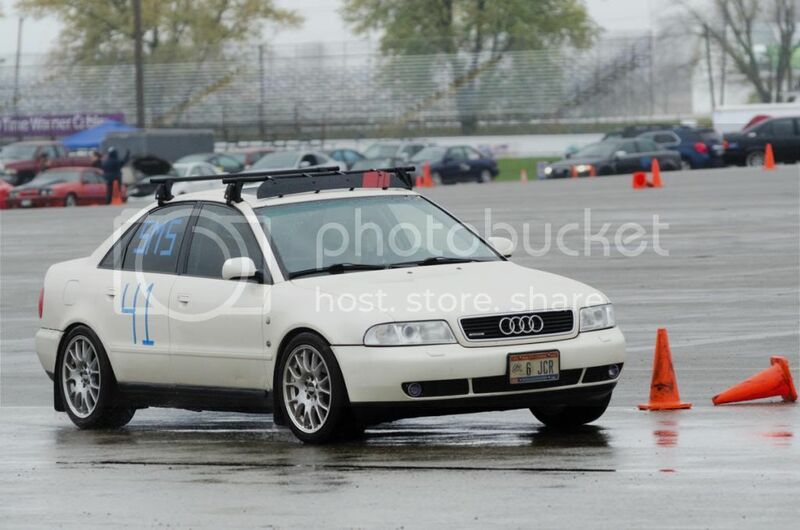 Next year I will Autox. Haven't done it yet. To me, every turbo car has lag because you cant blip the throttle mid turn like you can with an NA (but I also don't have experience with other cars). I do have a gauge, and I do probably have a leak, but it's probably mostly due to not having it tuned yet. @andy, that's pretty cool how you do laps at your events. I wish we did that. 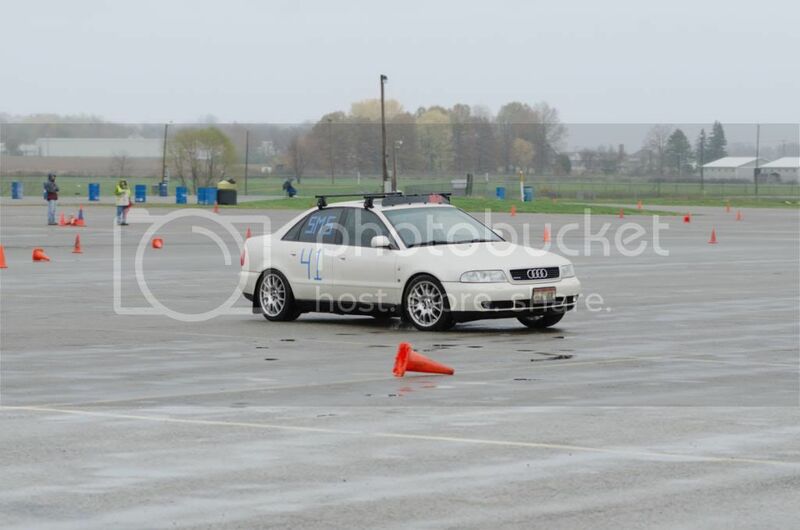 is that still an "autocross" or is it something different? Only difference between the 2 is the housings. You most certainly have a setup issue (boost leak or tuning issue). I've run the K04 turbo previously (with the GIAC Hammer file) and you can just blip the throttle and it goes. However in either scenario, blipping the throttle is not a good idea mid turn if you're looking to stay hooked on the pavement. Smooth is fast in road racing & auto-x. Very true, very true. It's only when you screw up and understeer and cant blip the throttle like my old mr2 and get it to rotate some more. Plus, it was mostly in the low rpms where my car was lacking. The one nice thing I noticed is with a little lag comes better grip in the wet since it's not so abrupt on the tires, hence smoother is better!